Why are parents of daughters more likely to divorce? Here’s a disturbing fact if you have daughters – you’re more likely to divorce than couples with sons. 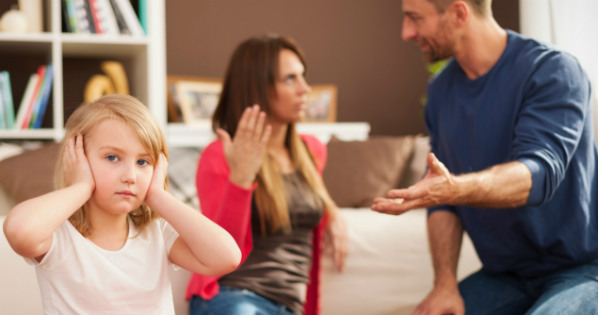 For decades, researchers have thought daughters “caused” relationship breakdowns. But a new study has come up with a much different (and better) explanation. The US study has found girls may be “hardier” than boys, even in utero. So they’re more likely to survive pregnancies stressed by a troubled marriage. In other words, more girls than boys are born into marriages that are already in strife. Study co-author and Duke University economist Amar Hamoudi says previous research suggests fathers “prefer” boys and are more likely to stay in marriages that produce sons. Therefore, they are more likely to leave a marriage that has daughters. “Many have suggested that girls have a negative effect on the stability of their parents’ union,” says Dr Hamoudi. But the study, published in the Demography journal, points to the robustness of female embryos as the real reason. It says at every age from birth to 100, males are more likely to die than females. Evidence suggests this survival advantage begins in the womb, with female embryos better able to withstand stresses including relationship conflict. Interestingly, the study also says women who reported higher levels of relationship conflict were more likely to later give birth to girls than boys.